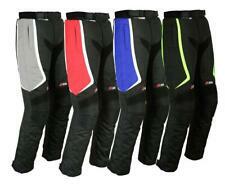 RST Contour CE Knee Protectors. Taffeta 100% Polyester removable lining. 38 WAIST / 2XL. RST "BLADE SPORT" Men's TEXTILE Motorcycle SPORTS JACKET - RED. 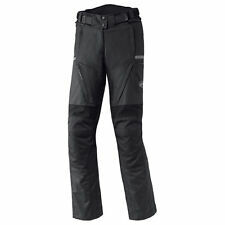 Buffalo Sport Black Textile Waterproof Motorcycle Trousers New £69.99!! Stay warm and dry in the Buffalo Pacific motorcycle trousers! With these textile touring pants you can react to any change in the weather. The outer shell is made from heavy-duty polyester for better abrasion resistance. The connecting zip is compatible with all Oxford jackets. Size - Large 38" Waist / Regular Leg. Available in three leg lengths.